Actress Mary Anderson has died at the age of 96. A redheaded native of Birmingham, Alabama, Anderson was once a dark horse candidate for the role of Scarlett O’Hara in Gone With The Wind. She was invited to audition by the film’s original director, George Cukor, who used her in an uncredited bit part in The Women (1939). In the end, Cukor was replaced by Victor Fleming, and Anderson didn’t get the job. But her first credited role in a motion picture was in Gone With The Wind. As a consolation prize, she was cast in the small role of Scarlett’s cousin, Maybelle Merriwether. Anderson’s death leaves just two surviving cast members of that classic movie: Olivia de Havilland and her on-screen son, Mickey Kuhn. Anderson went on to roles in All This, And Heaven Too (1940), Cheers For Miss Bishop (1941), The Song Of Bernadette (1943), Wilson (1944), and I, The Jury (1953). 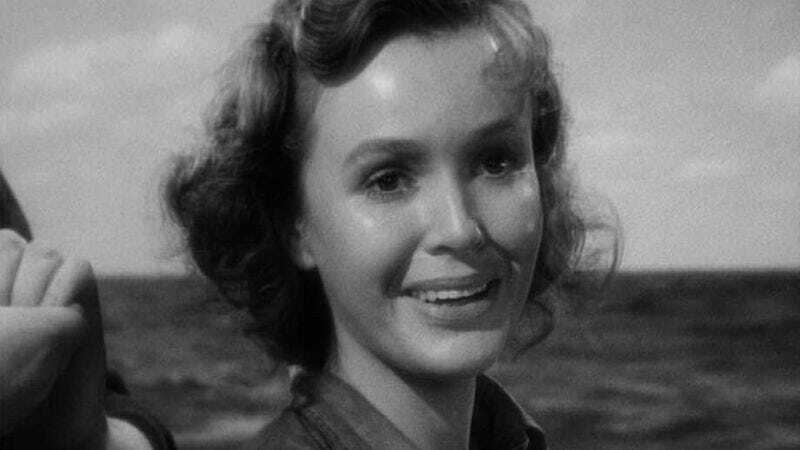 Her most notable movie role may have been in Alfred Hitchcock’s Lifeboat (1944), in which she played the stoic nurse who—among other crises—has to help restrain a grieving mother whose baby has just been given a burial at sea. In the mid-1950s, Anderson turned to television, and in 1964 she had a recurring role on Peyton Place. She retired not long after. She was married to the Academy Award-winning cinematographer Leon Shamroy (Wilson, Leave Her To Heaven, Cleopatra) from 1953 until his death in 1974.